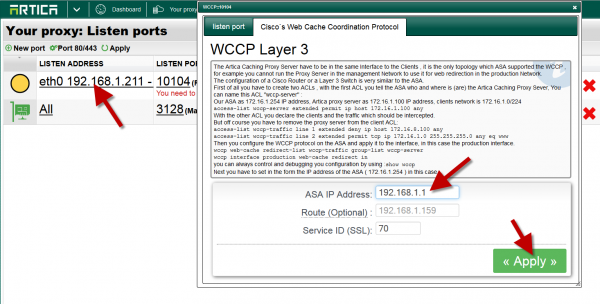 This article describes how to setup WCCP on the FortiGate to intercept and redirect HTTP traffic (TCP port 80) to Artica Proxy. Client traffic going through the FortiGate is intercepted and redirected to Artica. Artica gets the content if required and services the client by sending the content back to the FortiGate. The FortiGate retransmitted the content from Artica to the client. 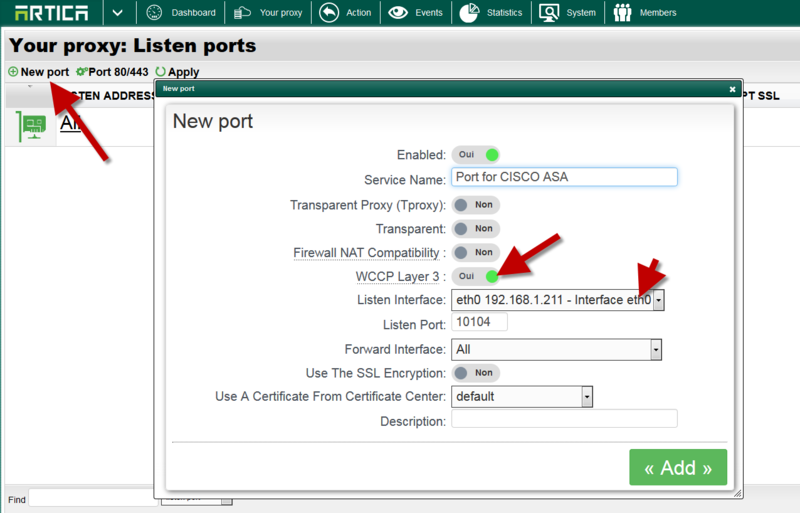 set comments "HTTP TRAFFIC TO Artica-proxy"
set comments "CLIENT NON HTTP TRAFFIC DIRECT"
set service "DNS" "HTTP" "PING"
If you need to use a specific gateway to access to the Fortiget, define the gateway in the route field.